Succeeding in a competitive environment is impossible if you don’t have capable talent. The right people can not only execute on your business strategy but find ways to do it better and faster. On the flip side, poor hiring choices can hinder business growth, limit the performance of team members, and shortchange customers. Companies are focusing on the importance of effective hiring processes in their effort to find best-fit hires. As part of their quest, they are turning their attention to applicant tracking software. When well-designed hiring software automates routine tasks, the talent acquisition team can focus on strategy rather than process. ATS create a database of candidate resumes and applications. They contain tools that help hiring managers track and filter resumes as well as workflows further along in the hiring funnel. This allows employers to cast a much wider net when seeking talent. With ATS, recruiters can track hundreds of applicants more efficiently than dozens of applicants manually. Companies that allow employees to work remotely benefit greatly from ATS. Since they are not limited by geography for virtual positions, they can focus globally. When a remote job is posted, it’s not unusual for a company to receive thousands of applicants. Online job boards make it quick and easy for candidates to apply for open positions. Because of this, companies receive applications from many people who aren’t remotely qualified. An ATS can quickly weed out those candidates before a human touches a resume. The benefits of ATS aren’t limited to hiring managers. Recruitment software makes the application process better for jobseekers as well. Instead of wondering if their application was received, they get an email or text confirmation within minutes of hitting the send button on the online application. When their application is rejected, they are also promptly notified and can turn their attention elsewhere. 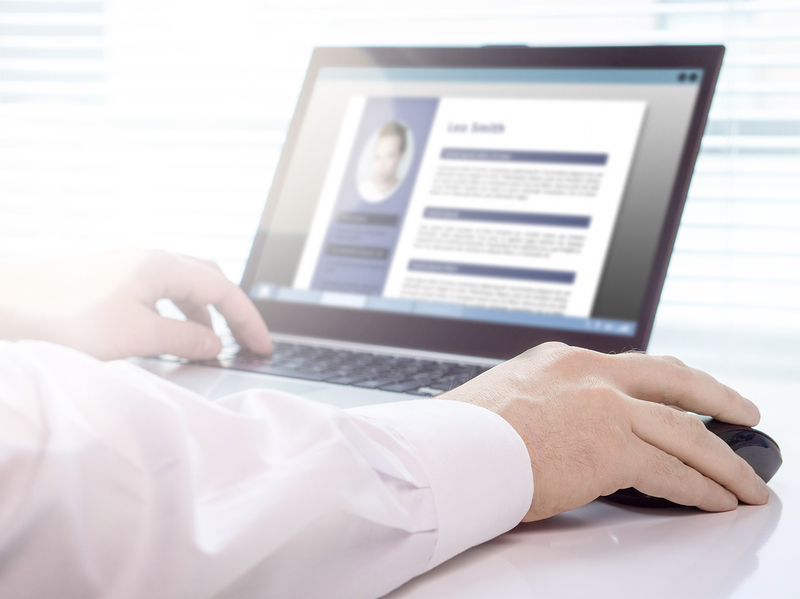 Savvy applicants understand how ATS resume parsing software works and tailor their resume to the keywords in the job posting. Even savvier ATS can figure out if a candidate is actually qualified or just good at keyword stuffing. Despite the obvious advantages of recruitment software, there has only been widespread adoption at the large business level. Last year, 98 percent of Fortune 500 companies used ATS but only 35% of SMB. Cloud-based computing has made subscription-based applicant tracking systems affordable for any size business. Cost is no longer an issue. Today’s post is for SMB owners who haven’t implemented an applicant tracking system. Our objective is to explain why adopting an ATS like ApplicantStack may be the most important decision you make in 2019. The obvious answer is that “it will automate hiring processes.” Let’s dig deeper. What processes are we talking about? These include posting to online job boards, screening resumes, collecting hiring data for analytics, and applicant communication. In 2019, automation is a no-brainer. You pay your hiring managers too much to spend hours shuffling papers. And manual tracking takes too long in today’s competitive hiring landscape. The most sought-after candidates have found a position within two weeks. But many companies take almost a month to fill an entry-level position and longer for higher-level positions. If it takes your company over three weeks to make an offer, the top candidates have been taken by competitors with a better process. If automation isn’t compelling enough, what about reducing the risk of compliance violations? Recruitment software can help your company comply with U.S. Equal Employment Opportunity Commission (EEOC) requirements, labor union provisions, and regulations that apply to government contractors. A quick visit to the EEOC website newsroom should send a chill down any employer’s spine. Last month, there were several fines over $100,000. Applicant tracking systems have tools for every stage of the hiring funnel. With hiring software, you create custom postings or use templates to get started. The postings can be easily modified as conditions change. The postings contain company branding to blend seamlessly with your online presence and reinforce your company image from posting to hire. 48 percent of jobseekers use social media to search for positions. Once your job posting is created, you can share it to multiple job boards and social media sites with one click. As the applications come in, you track and process by each stage in the hiring workflow. Communicate with applicants so they always know the status of their application. Easily schedule interviews and check references. Candidate screening requires collaboration among company recruiters. Recruiting software makes it easy for diverse teams to assign tasks to users, evaluate candidates, and eliminate redundancies. When a candidate is hired, the employee information doesn’t need to be entered again as it is transferred to Human Resources automatically. Applicant tracking software analytics help you track the effectiveness of job sites and different versions of job postings. With this data, you can continually improve your recruitment strategies. When choosing recruiting software, make sure you pay as much attention to the support a service provider offers as to product features. You want to choose a provider that has designed their support system as rigorously as their product. They are both essential to your business success. When you purchase an ATS, you should be assigned an account manager who will become your partner in implementation. They will help you customize the software for your organization, get up and running quickly, and solve problems if they arise. Your account manager is instrumental in helping you get the most out of our system. In addition to a dedicated account manager, your ATS should provide several channels for support. You use the channel that best fits your needs at the time. Do you want a quick question answered? Send an instant message to a customer service rep or a chatbot. For more in-depth research, download the product manual or perform a quick search of the knowledge base. Some recruitment software providers have discussion boards that let users collaborate and discuss issues specific to their industry or niche application. In addition to recruiting tools, many ATS systems have onboarding functions that bring the same level of efficiency to the new hire process. The ideal scenario is a unified HR portal that handles everything from recruitment, to hire, and then ongoing, efficient workforce management.